Full ACCOYO out of the very last import into the US. Five of her kids have taken first place at the AOBA National Show !!! 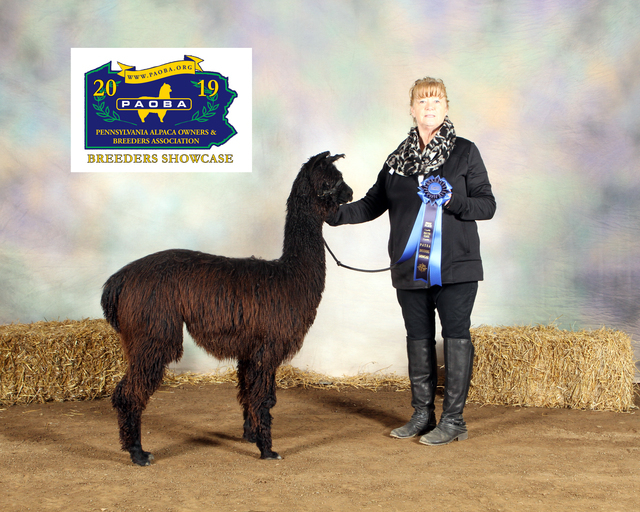 Two have been AOBA National Show color Champions. 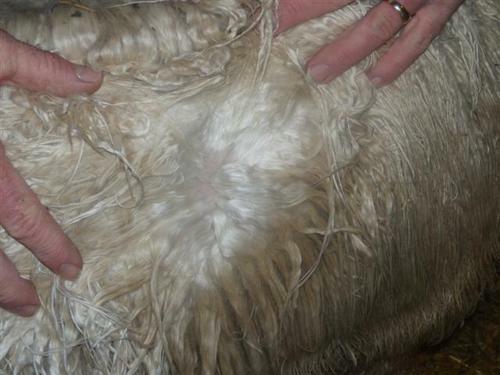 Clara was screened at import with 14.5 micron fiber. 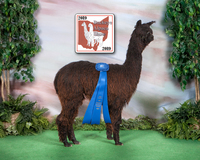 She passed in 2015 but carried her beautiful fiber until the end (22.4 micron) and posthumously won the Spirit of the Industry Award at 2015 MAPACA. 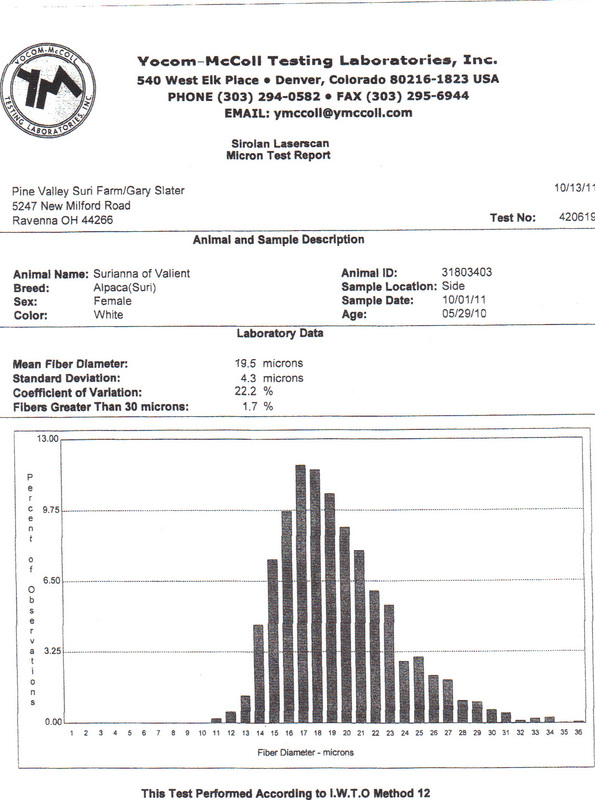 She had an outstanding temperament on the farm and this was passed on to her whole herd. Full Peruvian, 7/8 Accoyo, solid white, out of Accoyo Clara. 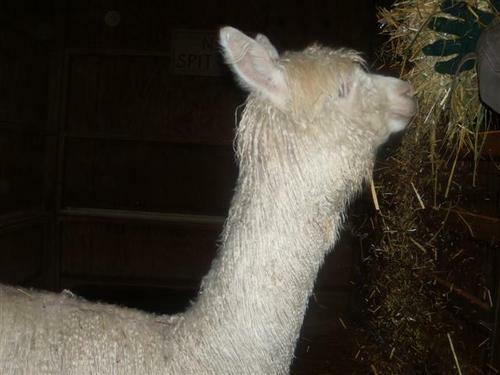 This was the second breeding of Clara to Valient and Suriana is very similar to her big sister except finer in her fleece. This is a girl that could be the backbone of your breeding program for a long time. 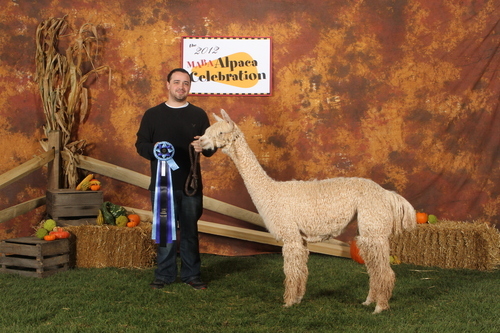 Suriana has a beautiful male cria to National reserve champion Poseidon of Grace. 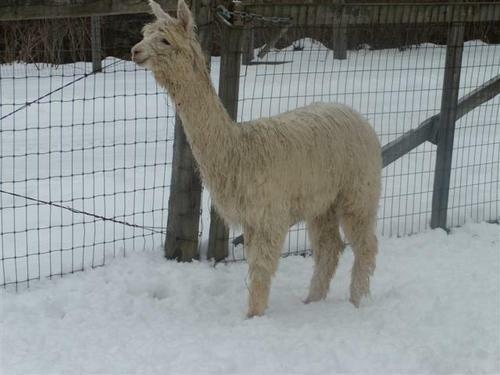 Her dam, Clara, came over in the last import with a 14.5 micron fiber and produced nothing but beautiful animals. 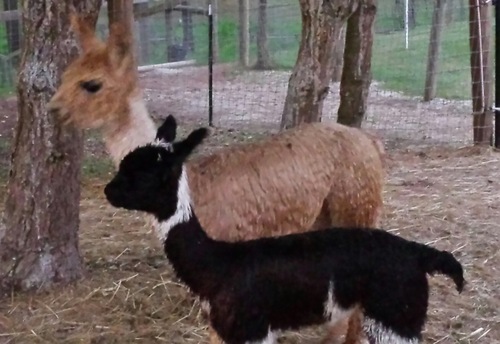 She carried her fine lustrous fleece up to her passing in 2015 (MFD: 22.4 SD: 4.5 COV: 20.3% FG30: 5.2%).